Supplements: The Real Story - Natural or Synthetic? Foods or Tablets? Thanks for this article go to Andrew Saul, editor of the Orthomolecular Medicine News Service which you can subscribe to at http://orthomolecular.org/subscribe.html. You can also see other articles at the orthomolecular.org site. (OMNS, Jan 17, 2012) It's a nutritional "Catch 22": The public is told, confusingly: "Vitamins are good, but vitamin supplements are not. Only vitamins from food will help you. So just eat a good diet. Do not take supplements! But by the way, there is no difference between natural and synthetic vitamins." Wait a minute. What's the real story here? The report discussed vitamin C as if it were simply an indicator of how many fruits and vegetables were consumed by the participants. Yet, ironically, the study's results show little improvement in the risk for heart failure from consuming fruits and vegetables. This implies that the real factor in reducing the risk was indeed the amount of vitamin C consumed. Moreover, the study appears to utterly ignore the widespread use of vitamin C supplements to improve cardiovascular health. In fact, out of four quartile groups, the quartile with the highest plasma vitamin C had six to ten times the rate of vitamin C supplementation of the lowest quartile, but this fact was not emphasized. This type of selective attention to food sources of vitamin C, while dismissing supplements as an important source, appears to be an attempt to marginalize the importance of vitamin supplements. We can almost hear "Unsubscribe" links being clicked as we state it, but here it is: synthetic vitamin C works, in real people with real illnesses. Ascorbate's efficacy has little direct relation to food intake. A dramatic case of this was a dairy farmer in New Zealand who was on life support with lung whiteout, kidney failure, leukemia and swine flu . He was given 100,000 mg of vitamin C daily and his life was saved. We have nothing against oranges or other vitamin C-containing foods. Fruits and vegetables are good for you for many, many reasons. However, you'll need to get out your calculator to help you figure out how many oranges it would take to get that much, and then also figure how to get a sick person to eat them all. Synthetic vitamin E is widely available and inexpensive. It is "DL-alpha-tocopherol." Yes, it has the same antioxidant properties in test tube experiments as does the natural "D-alpha-tocopherol" form. However, the DL- form has only 50% of the biological efficacy, because the body utilizes only the natural D isomer, which comprises half of the synthetic mix . Therefore, studies utilizing DL-alpha-tocopherol that do not take this fact into account are starting with an already-halved dose that will naturally lead to a reduction in the observed efficacy. While the natural form of vitamin E (mixed natural tocopherols and tocotrienols) is at least twice as effective as the synthetic form, this is not true of vitamin C. The ascorbate that the body gets from fruits and vegetables is the same as the ascorbate in vitamin C tablets. On first thought, this may sound confusing, because there are many so-called "natural" forms of vitamin C widely available. But virtually every study that demonstrated that supplemental vitamin C fights illness used plain, cheap, synthetic ascorbic acid. Other forms of ascorbate, for instance, the sodium or magnesium salt of ascorbic acid, are digested slightly differently by the gut, but once the ascorbate molecule is absorbed from these forms, it has identical efficacy. The advantage of these ascorbate salts is that they are non-acidic and can be ingested or topically applied to any part of the body without concern about irritation from acidity. Natural food factors are also important. Bioflavonoids and other vitamin C-friendly components in fresh fruits and vegetables (sometimes called "vitamin C complex") do indeed have health benefits. These natural components are easily obtained from a healthy, unprocessed whole foods diet. 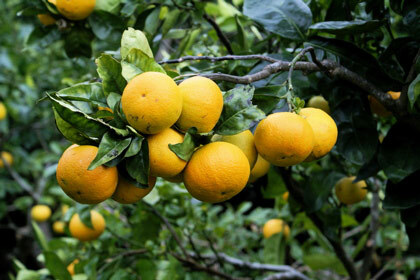 However, eating even a very good diet does not supply nearly enough vitamin C to be effective against illness. A really good diet might provide several hundred milligrams of vitamin C daily. An extreme raw food diet might provide two or three thousand milligrams of vitamin C, but this is not practical for most people. Supplementation, with a good diet, is. The principle that "natural" vitamins are better than synthetic vitamins is a widely quoted justification for actually avoiding vitamin supplements. The argument goes, because vitamins and minerals are available from food in their natural form, that somehow one might suppose that we are best off by ignoring supplements. Apparently this is what the authors of the above-mentioned study had in mind, because the report hardly mentions vitamin supplements. Don't be fooled: nutrient deficiency is the rule, not the exception. That's why we need supplements. When ill, we need them even more. 9. http://lpi.oregonstate.edu/infocenter/vitamins/vitaminE/ ; scroll down to "Deficiency." Find the original of this article at the orthomolecular.org site.